A former dance instructor from Mission Viejo Dance and Performing Arts Center was found guilty of secretly video taping 12 to 14 year old girls as they changed out of their swimwear. The incident happened in April of 2007 at his home in Aliso Viejo in Orange County. The District Attorney describes that 31-year old Jason Marian set up a video camera in the downstairs bathroom of his home and asked them to change there. The D.A states that he knew exactly what he was doing, and that he had befriended the families and his students which made the whole situation even more devious. Marian had explained that he had set up the videotape for his wife, not the girls. He was also convicted of sexual acts with a 16 year old which came to light as a result of the secret taping being discovered. The camera was found by one of the dancers when it toppled over under a counter. She took the camera and gave it to her parents who then turned it over to the police. The investigation into the taping produced evidence that suggested that Marian had engaged in inappropriate sexual activities with a 16-year-old dancer. Penal Code Sections 647(d), 314, 261.5 and 288. 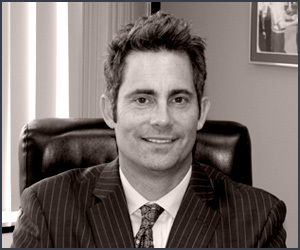 Criminal Law Update Orange County Law Offices of William W. Bruzzo.